How is going to Dr. Matarazzo’s office like visiting a miniature horse farm? They both put HUGE smiles on everyone’s faces! You can’t have that much fun in many other places. Plenty of delicious apples get eaten. Our team is so nice, warm, and cute. Miniature horses are also nice, warm, and cute. Be careful with the horses, though. Some of them bite. We never bite! 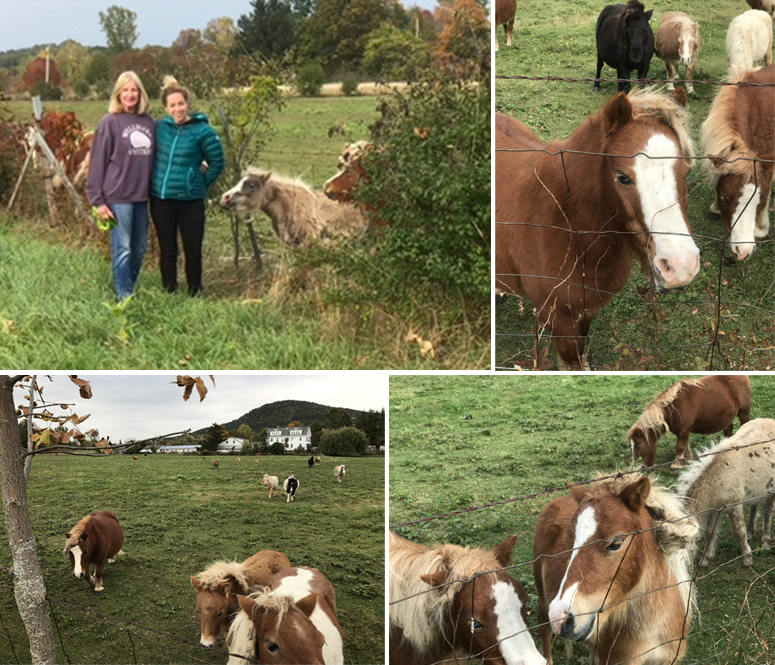 In October, Joanne, Mike, and I went to visit our youngest daughter Meg in Burlington, VT. Meg always takes us on an outdoor adventure. This weekend we saw a few gorgeous locations. I can’t wait to share them with you. If you are not thrilled with your smile, you might be missing out on a lot. Your smile is one of the first things people notice about you. Many times, it influences how people see you. A big smile on the outside helps to show your true feelings. Let’s make it memorable. Remember, making smiles is our business, what you do with yours is your business.